Dr. Domenick Ronco is a board-certified osteopathic doctor. He has been treating patients at Family Practice Center in Mifflinburg since 1980, and he is the president of Family Practice Center. 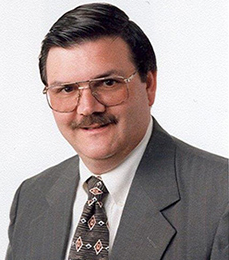 Dr. Ronco served as President of Pennsylvania Osteopathic Medical Association (POMA) in 2003 – 04 and has served as Chair of the Evangelical Community Hospital Department of Medicine. Dr. Ronco is Camp Physician for the scouts at Camp Karoondinha, which takes him back to his own days as an Eagle Scout. Dr. Ronco is married to Judy with three children – Damon, Alyssa, and Abby. His hobbies include amateur radio, wood working, boating, and travel.